Wards Family Pharmacy on the Main Street, St Johnston, had its official opening on Saturday 27th June 2009. This was celebrated by giving 10 % off stock, 20 % off fragrances and serving refreshments. Spot prizes took place during the day. 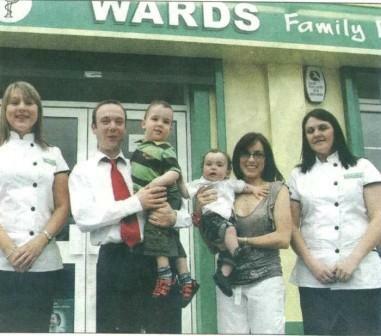 Wards Family Pharmacy is the first pharmacy ever in the St Johnston and Carrigans area. Its proprietor is Conor Ward who had been working as a pharmacist for 14 years. The services provided by the pharmacy include First Aid, smoking cessation, beauty and cosmetic products, fragrances, healthcare for adults and infants, medical card prescriptions, advice on places to go for health reasons and vaccinations and a passport photo service is available as well. 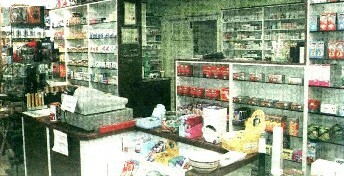 The pharmacy has been constructed with a private area where one to one discussions can take place in a confidential and discreet environment.